There was something about sitting on the beach at night, listening to the methodical lapping of waves on the shore, and feeling the steady thump of a distant massive sound system that made us forget for a minute that we were so far from home. At Outlook Festival this year, we learned that there is something universal about our EDM culture- a connection that travels across oceans and over borders through sound waves. Even all the way in Pula, Croatia, everyone contributed his or her own piece of the international puzzle to make Outlook Festival as amazing as it was. Listening to some of the world’s most talented producers and DJs in somewhere completely foreign is an experience everyone should seek. 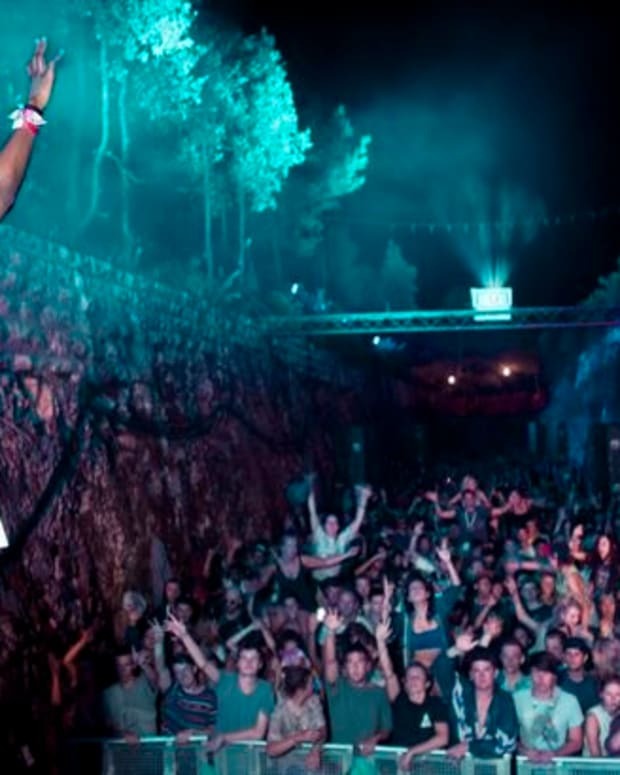 2013 marked the fifth year of the annual Outlook Festival, and the gathering has grown to staggering sizes in recent years. It is easy to see why, year after year, people come from all over the world to party with some of the best drum and bass, reggae, hip hop, dub, and house DJs in the game. The four-day festival consisted of 10 main stages, and 2 beach bar stages, boat parties every day, and camping for attendees. The city of Pula (on the Northern Croatian coast) is a very tourist-centered place, but at the same time the locals were friendly and seemed to appreciate the economic boost from the summer festivals each year. Artist and GA shuttles took non-campers back and forth to their hotels throughout the night, and the local drivers were more than happy to share information, opinions, and stories. 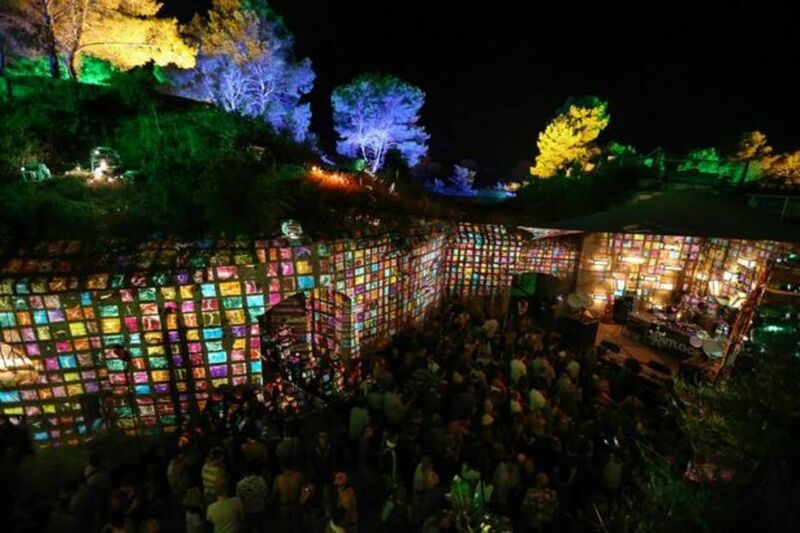 Fort Punta Christo, the focal point of the festival grounds, was built in the 1800’s to defend the city of Pula’s naval port. The stone structure of the fort housed six of the festival stages in areas like “The Moat” and “The Dungeon”. The sound booming from the towering stacks was amplified even more by the steep, stone walls of the fort. Reverberating bass vibrations encased the crowd at each of the stages, and there was nowhere. Outside of the fort, the festival grounds was a maze of rocky terrain- navigation made even more difficult by lack of sleep and a sea of littered beer cups. Though the grounds seemed to be cleared adequately every morning, this didn’t stop European partygoers from tossing their waste wherever they seemed fit. Because Outlook had so many stages with staggering volume, it meant the main stages had to be relatively far apart. The main stage was down the hill from the fort on the harbor, where the boat parties would also cast off during the day. “The Harbour” stage was an impressive display of lighting and production, and held a crowd of around 5,000 people. Ask anyone who attended- one of the main highlights of Outlook was definitely the boat parties. Many summer festivals around the Mediterranean feature boat parties put on by different music labels for an extra fee (about $40 USD). But we found that raving on the Adriatic Sea to some of the best of Outlook’s drum and bass lineup to be priceless. The Blanderunnaz boat party started our weekend off on Thursday afternoon which featured DJs Lenzman, who is known for his raw, heartfelt, DnB rollers and played a liquid classics set, and Ant TC1, who brought the crowd up with some Dispatch Recordings and Metalheadz bangers. Dancing on the open top level of a boat was tricky when the waves got a little choppy (and the strong drinks certainly didn’t help anyone’s coordination), but looking out at the Croatian coast at sunset while hearing tunes that made your body melt was an amazing experience in itself. On Saturday we hopped on a second boat party put on by the legendary Metalheadz and named after the classic sessions at London’s Blue Note club in the late 90’s. The massive lineup included Digital, DBridge and Randall, and of course Goldie himself. Goldie told us before getting on board “We’re gonna be pulling out the classics on this one, openin’ up Pandora’s box!” Each set was one epic track after another (some we hadn’t heard in years), all expertly mixed, to a massive crowd response. The Blue Note boat party was rocking even after it docked back at the harbor after almost four hours at sea. 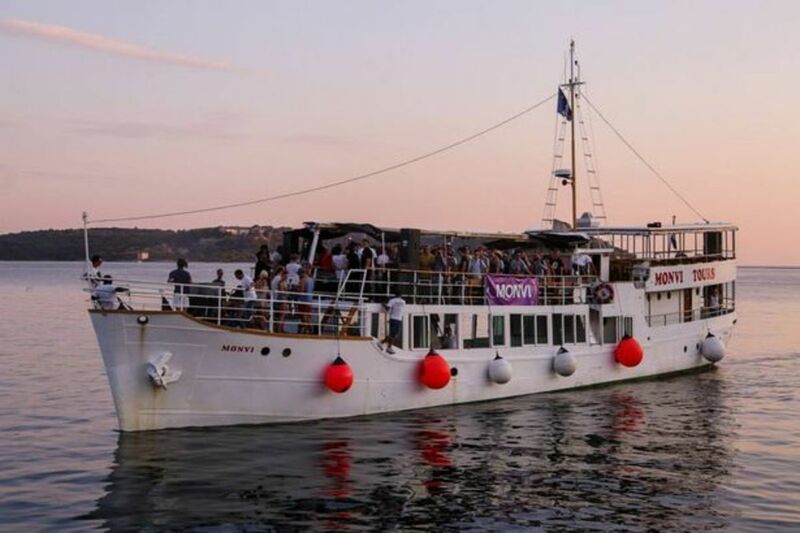 Though the boat parties were a highlight of the party, the focus of the festival was obviously on one thing: the music. Sorry Do Lab, but there are no flashy lights or interactive art installations here. So Cal might be all about the “experience,” but Outlook was all about the sound. It was impossible to find bad music at any moment throughout the weekend. Our highlights of the festival included: Break and DJ Die, Bonobo, DBridge, Randall and MC Lowqui, Lenzman, Golide, Iration Steppas, Element MC, and LTJ Bukem. However, every stage you stumbled upon was playing quality music to a crowd that was hyped and interested in what they were listening to. Both the live and mixed reggae sets, the hip hop, the deep thumping house, the ragga, neuro, and liquid drum and bass- every artist on the lineup was truly passionate about what they were playing. Coming from the scene in LA which, lets face it, has a lot of people who are just about the flashy money, it was refreshing to see such huge support for genres that have (in more recent years) been pushed aside. 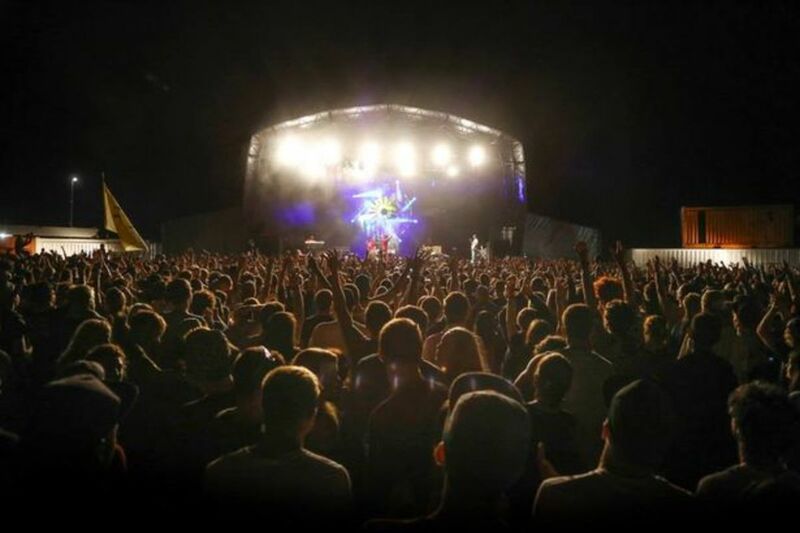 Outlook Festival was an example of what we coined the “mainstream underground,” which brought the underground sound we know and love to massive scale-production, and we can’t wait to go back next year! While raging at Outlook Festival, we had the opportunity to sit down with UK drum and bass producer and DJ DBridge, of Exit Records, to ask him a couple questions about his relationship with Outlook and what he’s currently working on. How are you enjoying Outlook Festival so far? Have you been here before? Yeah I’m having a really good time- I played on Thursday and also a boat party last night, and now we’re on the Metalheadz/Blue Note boat party today. This is my fourth year playing at Outlook, which I think has been going for 5 years now. I’ve known the director of the festival for a while, so I’ve got a good relationship with the festival. At the first venue, about three years ago, there were only like one, maybe two thousand people. 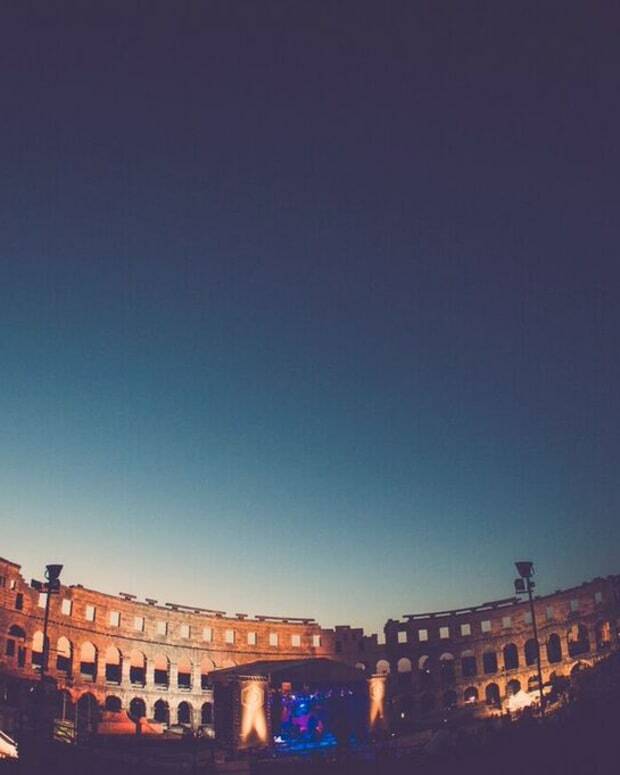 Then the first year that it was here in Pula it was really raw, but always with a really good sound system. Every year more and more big acts are coming over, so it really seems to be growing a lot. They do Dimensions festival the weekend after at this same spot too, so this year I’ll be playing on a stage and a boat party at that one as well. What do you think sets the festival apart from others you’ve played at? I mean you’ve just got to look at the lineup really. The headliners aren’t really like your obvious headliners. It’s all really good music from quality producers and DJs. The guy who runs the festival just really knows music- and you can see that in the lineup. In terms of the location, the boat parties, the sound system- everything’s on point. It’s one of those festivals where as long as the weathers good (and even that doesn’t matter because last year it rained and it was still a good party), everything just seems to come together for this one. Outlook’s one of those that people looks forward to every year, so there’s already a load of positive energy coming into it. Describe your musical influence growing up. How has your style progressed or change since you first started out? Well really I just try to play my interpretation of music and how I hear it. I’ve been doing it for twenty years now, so I’ve done kind of a broad spectrum really, but predominately drum and bass. I’ve been singing a lot now as well. I’m just about keeping myself interested- that’s the main thing. Luckily enough I get paid to see the world as a result. Well there are always moments in your career where you kind of step up to the next level and you feel like you’re progressing somewhat. I was in Sewage Monsters and then Future Forces, and then I signed with Renegade Hardware Drum and Vinyl. So when that blew up in the Blue Note era- it was like being a part of this massive drum and bass super group. Then coming out of that and being able to find my own place within the scene as well. 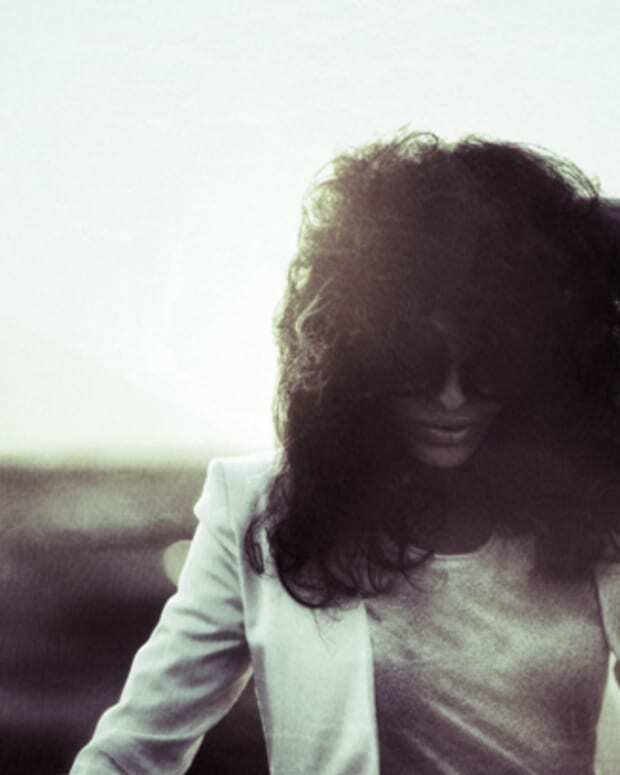 More recently the singing has been the next big step for me- just having that be accepted and people liking it. I mean, you’re never too sure about things like that, but when the first song’s out there and people are showing it love- it feels really good. Also recently I’ve got a big release on R&S, which is a label I’ve always looked up to and really loved. The biggest moment I think would be moving in with my brother Steve Spacek, and him getting me really into music in general. I mean that pretty much started the road that I’m on now- so that’s probably the biggest moment for my music. Describe your current sound for our readers. What kind of styles have you been experimenting with lately? Well I do House and Techno stuff under the name Velvit, but I’m obviously more about exploring DnB 85/170. A lot of my music that you hear is usually six to eight months behind what I’m interested in now- just because it takes so long to get released. So the stuff I’m writing now, which I don’t want to give too much away about, probably won’t see the light of day until next year. I’m working on a couple projects at the moment- like an album with Kid Drama, Joe Seven, and Consequence in a little collective that we do. I’m also working with a guy called Radioactive Man. I keep being approached by all kinds of people. I just did a vocal for Dark Sky not too long ago, and I’ve had a few different people asking me for vocals now. What do you like about playing in California? Any travel plans coming up? Last year at Respect LA was really good with Ghostface Killah. A couple others from Wu Tang came up- I mean Cappadonna MC’d on my set, which was great. Rob Machete has been doing that party for years and he’s been consistently brining people over, so it’s knowledgeable which is good. I’m planning a tour soon but I’m still looking through dates so I’m not sure when I’ll be making it over next. Any releases or tunes in the works to keep an eye out for? The compilation Mosaic Vol II has just come out, an R&S release with Skeptical has just come out, and I also just had a Velvit release on Electric Minds come out as well. I’ve been getting the word out a lot recently, so I’m just looking forward to starting the next project now. Anything else you’d like to add or shouts you’d like to give? Just keep your ears open. I’m always working on new stuff so hopefully I’ll see you all over on the West Coast sometime soon.